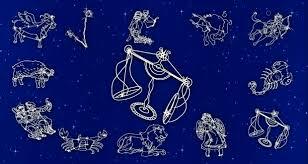 Every horoscope has nine planets and twelve zodiacs are studied. However, horoscope does not depend only on it. In horoscope, there is one special planet. It is the soul of horoscope. It is the key of horoscope. If this planet is weak then one cannot get success. If this planet is strong then person get good success. Below is the key of the horoscope (based on Moon Sign). Aries: Sun gives miraculous result for Aries lagan. One can get every success by strengthening Sun. You can also keep your health strong. It is extremely beneficial to offer water to Sun in morning. Taurus: Shani is prime planet for Taurus lagan. Strong Shani can avoid every problem. One can avoid wealth and health issues by strengthening Shani. One can get boon of splendor and relations. It also avoids big disease. Light mustard oil lamp under peeple tree on every Saturday. Gemini: Mercury is prime planet for Gemini lagan. One can maintain good thoughts by strengthening Mercury. They can also get financial strength. Weak Mercury affects their intelligence. It is extremely beneficial to worship lord Ganesha every morning. Cancer: Mars is prime planet for Cancer lagan. The Strong Mars maintains their life. It avoids an accident and health problem. A person gets good success in less work. Leo: Mars and Jupiter is prime planet for Leo lagan. It avoids every up-down. It reduces struggle in life. It increases effectiveness as well. It is extremely beneficial to worship Sun. Virgo: Venus is prime planet and gives best result for Virgo lagan. They can get boon of splendor and relations by strengthening Venus. A person’s personality increases. A person gets good prosperity and splendor in life. Worship lord Shiva. Libra: Shani is prime planet for Libra lagan. If Shani is strong then person gets immense success. A person does not face any type of shortage. A person always get special place in society. It is beneficial to donate food or cloth on Saturdays. Scorpio: Jupiter is prime planet for Scorpio lagan. One gets boon of wealth, child and knowledge by strengthening Jupiter. It gives good benefit. Wear yellow sapphire in gold or brass. Wear this in index finger on Thursday morning. Sagittarius: Mars is prime planet for Sagittarius lagan. Struggle reduces by strengthening Mars. It avoids litigation and conflict. It avoids every bad effect of Shani. Worship lord Hanuman. Capricorn: Venus is prime planet for Capricorn lagan. Venus gives education, intelligence, career and wealth. It improves health and avoids children related problem. It is beneficial to wear diamond or Jarkan. Avoid alcohol and intoxication. Aquarius: Mercury and Venus is main planet for Aquarius lagan. However, Venus is important planet. They can reach in good position in career. It avoids mental problem. Wear more white color clothes and worship lord Shiva. Pisces: Moon is prime planet for Pisces lagan. They get good intelligence, amazing and successful due to strong Moon. They can get good career and property through Moon. Wear one pearl in silver. Wear it in little finger on Monday night. Good Luck: Take at least two times bath during a day. You can also clean your body with wet clothes. The sweat body easily gets negative waves.